This is an obvious place to use a fire retardant tarp. We do want firewood to eventually burn, but only at the right time and place. 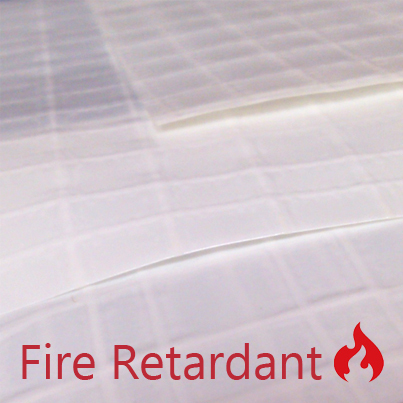 If you are storing combustible items in or near your tarp, it might be helpful to use a fire retardant. 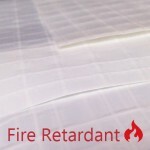 Although a fire retardant tarp wont stop a fire it is retardant, not fire proof, it might be enough to protect other items from catching fire, or slow it down enough to put the fire out. If you live in an area that experiences high fire danger seasons, using fire retardant tarps could make a huge difference. They can also be used when using heat or fire outside to prevent sparks from igniting nearby tender. Although there are certainly risks associated with using a tarp to cover a fire during rain, there are ways to set up a tarp as a lean-to that provides protection for you and your camp mates as you cook, warm up, or just relax around the fire. And if you are using a tarp for this, it is best to use a fire retardant tarp. For more information on tarps and canopies of all kinds, please contact us. This entry was posted in fire retardant tarps and tagged fire retardant tarp covers, fire retardant tarps on October 9, 2015 by CanopiesAnd Tarps. Canopy Top: Replacement or Repair? 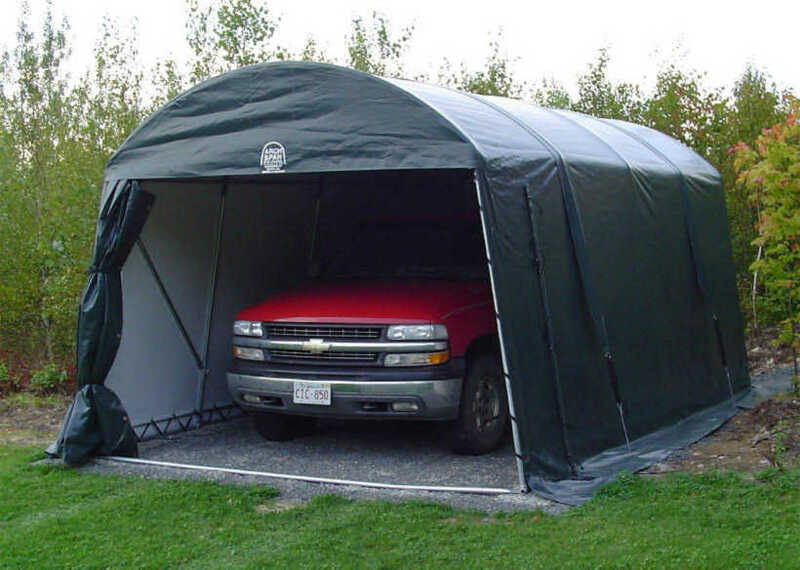 Canopies are a wonderful way to keep vehicles, tools, and a variety of other items protected. If you already have a canopy, you know how great they can be. One drawback of canopies is that they are not designed to last forever. The good news is that you will not likely need to buy an entirely new canopy kit. We have canopy top replacements! 1. Which parts need replacing? 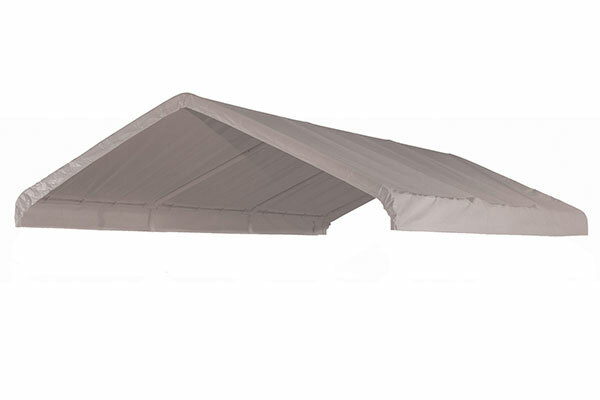 Most often the actual canopy fabric needs to be replaced, as it is the part that is most exposed to the elements. Sometimes a zipper on a side panel of the canopy might have gone bad. Other parts you might need to replace are stakes, tie downs, bungee ties, grommets, etc. 2. If its the canopy, does it need replacing or patching? Perhaps it is many years old or it was damaged, and needs to be completely replaced. But maybe you can fix it with a patch kit. We sell grommet repair kits, poly tarp repair tape, and vinyl tarp repair kits. 3. The entire canopy needs to be replaced. In this case, you can choose which the parts of the canopy you need. Side panels, zippered panels, and top canopies are all sold separately. 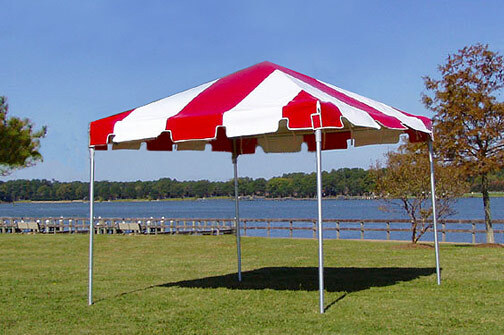 It is important to measure the length, height, and width of the canopy you will be replacing. Here is a guide to getting the proper measurements for your canopy replacement. Once you have determined what you can replace, contact us. We will be happy to help you with replacing the parts you need. This entry was posted in canopy replacement covers and tagged canopy replacement covers on October 9, 2015 by CanopiesAnd Tarps. Halloween is just one month away. Kids are already planning their amazing costumes, and many adults love getting in on the fun too. While there are plenty of options for how to spend the holiday, including taking children trick-or-treating, attending parties, spending the night out on the town, or staying in and handing out treats to all the little ghosts and goblins that stop by, one of the most fun things you can do on Halloween is throw a big party. If you hesitate to throw large parties because you don’t have space, remember that party tents offer all the space you need. If it is projected to be a cool evening, you can use outdoor heaters in the party tent to make sure everyone is comfortable. When you throw a giant Halloween party you can invite all of your friends, family, co-workers and neighbors. It’s the perfect opportunity to serve up some of your favorite food and drinks, plan a few fun party games and decorate to the nines. If you need ideas for throwing the perfect Halloween party be sure to check out social media sites like Pinterest for some really adorable ideas that are sure to please your guests. Don’t forget that everyone loves a costume contest. If you announce a prize in advance, people are more likely to dress up for your party. Even the guests who don’t choose to dress up will love seeing all the creativity that went into the costumes of people who participate in the party. 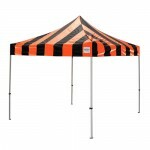 For more information on our huge selection of party tents in all shapes and sizes, please contact us. 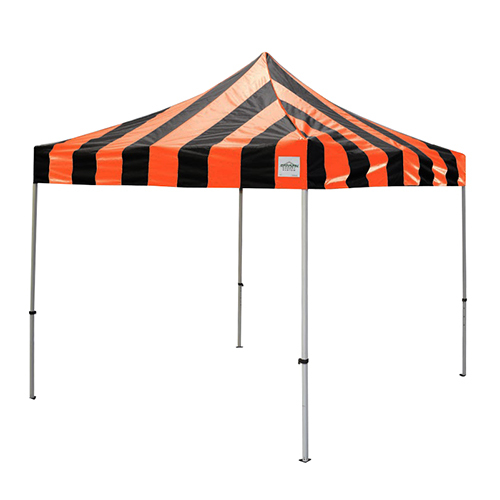 This entry was posted in party tents and tagged holloween, party tents on October 9, 2015 by CanopiesAnd Tarps. Trampolines are among the most-loved, outdoor, recreational equipment out there. People of all ages traditionally use them throughout the spring and summer, then put them away in the fall. However, we have found that with the addition of vinyl tarps, some families have been able to keep their trampolines up until the snow flies. The secret behind their accomplishment is electing to buy the perfect one. Which vinyl tarps are perfect for outdoor trampolines? In our opinion, its the round tarps. 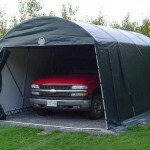 Round tarps are traditionally manufactured using either high-quality mesh with or without shade weave. Both types are UV and rip resistant with grommets appearing every two feet, around all of the edges. Naturally, they are vital features to have when it comes to protecting trampolines from the autumn sun and wind. So we wouldnt recommend choosing a cover without them. That said, the shade weave tarps may be more appropriate for some trampolines than the other tarpaulins for one, simple reason. Theyre breathable. Remember, some trampolines are made from premium-grade bounce mats, plastic sheathing and fiberglass rods but not all. So the lower grade materials may dry rot or otherwise degrade if they arent placed in an area with some ventilation. Thus, choosing shade mesh weave tarps accomplished two things. First, it shields all of the trampoline sensitive elements we mentioned above from the sun. Second, it allows lower quality materials an opportunity to breathe. Consequently, it is worth taking a hard look at a trampolines construction before selecting vinyl tarps. Of course construction is just one concern. Before buying round tarps to cover outdoor trampolines, dont forget to take measurements. 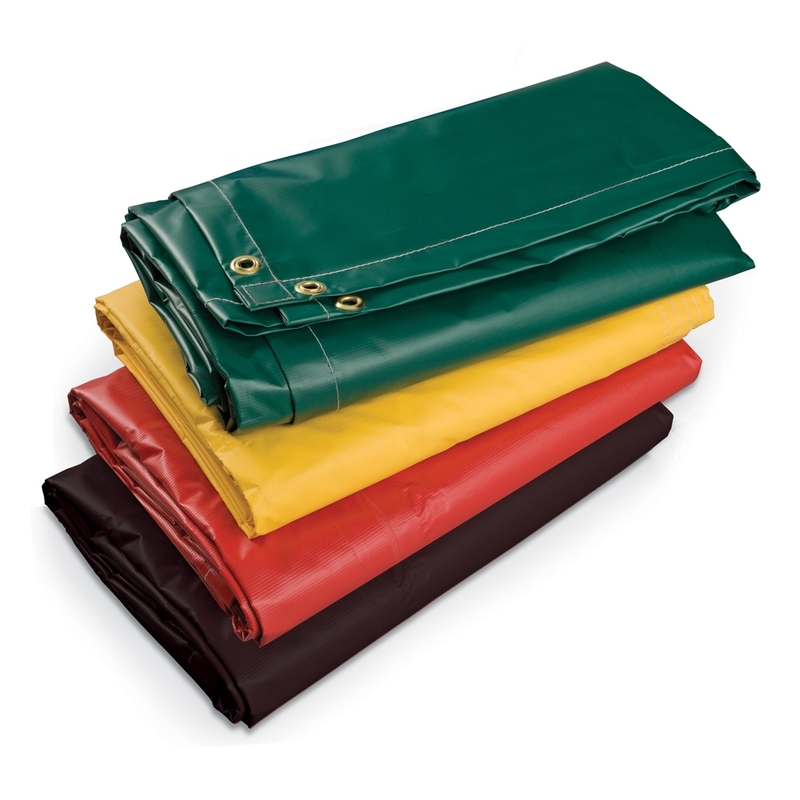 Pick a diameter tarp that is likely to provide the trampolines bounce mat with full coverage. And if necessary, choose one that will cover the trampolines side mesh walls too. To learn more about picking vinyl tarps for outdoor trampolines, please contact us today. This entry was posted in vinyl tarps and tagged vinyl covers, vinyl tarps on October 9, 2015 by CanopiesAnd Tarps. Dont let falls kickoff keep the neighborhood block parties from rolling onward. After all, Oktoberfest is a perfect excuse to call everyone out of their homes and enjoy a few German brewskies as a community. Just set up party tents that have the potential to keep the afternoon breezes at bay. Theyll ensure that the neighbors will continue to raise their steins and munch on German snack foods well into the late hours of the evening. If the neighbors have children of any age, why not get separate party tents for them? The children, especially the teenagers, will appreciate having celebration space of their own. Also, the German foods, beverages and dcor could be tailored towards age groups. For instance, the teens might like drinking non-alcoholic beer and playing European card games. Authentic games to consider are Skat, Schafkopf and Karnoffel. Younger children may like to play Sardines, a German form of tag. The list of other German game options for the little kids includes, but isnt limited to Topfschlagen, Verstecken, Schokoladenessem, Dosenfussball and round robin. Of course they could have German-English singalongs and dances inside of the party tents providing that all of the little kids agree. Oktoberfest block parties could be set up in other ways too. For instance, everyone could gather underneath of one party tent to socialize and a separate one could be used for refreshments. Keeping the alcoholic and non-alcoholic refreshments stored in a designated area may make some neighbors feel comfortable. This is particularly relevant for families that disapprove of drinking but still want to participate in the neighborhoods Oktoberfest fun. No matter how the neighborhoods Oktoberfest is expected to be set up, please contact us for help. 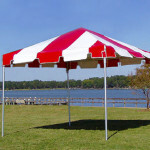 We can provide white tents as well as ones in Oktoberfest appropriate colors. Plus, we may be able to assist with portable seating and extra serving tables too. 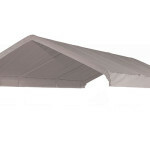 This entry was posted in party tents and tagged party canopies, party tents on October 9, 2015 by CanopiesAnd Tarps. Greenhouse canopies are wonderful additions to your garden or yard, especially if you live in a climate with unpredictable weather, a short growing season, or simple to keep out pests and weeds. Unpredictable weather can happen in any climate. Greenhouses are wonderful for preventing a ruined crop. They protect from hail, severe wind, and quick temperature changes. If you like to start from seeds, a greenhouse can help protect your vulnerable seedlings in the spring until they are ready to put in the ground. If you live a norther climate, harvests can be small as there just isnt enough warm weather to grow your plants as long as you might like. A greenhouse can allow you to start your garden as early as February and extend it well into October or possibly even November. Check the USDA website for information on when and how to use a greenhouse in the winter months. Even if you dont live in a northern climate, it is nice to have fresh, homegrown foods in winter. In many states in the southern half of the United States, you can use a greenhouse to grow food all winter long. Although nothing can fully protect a garden from pests, a green house is gives some of the best protection against unwanted critters and weeds. Our greenhouses have windows with insect netting. For more information about tarps and canopies of all kinds, please contact us. This entry was posted in greenhouse canopies, greenhouse kits, greenhouses and tagged greenhouse canopy on October 9, 2015 by CanopiesAnd Tarps. Shade sail canopies are a great addition to your backyard landscape. They are typically a triangle shaped canopy used to provide shade on patios, decks, and in backyards. The fabric is lightweight, but durable and resistant to mold. It is also easy to clean. Besides being very easy to store and transport, they have many great benefits to your outdoor landscaping. Shade sails block up to 90% of UV rays. This is great news! We all know that protecting our skin from the sun is important, but sometimes sunscreen is not the most pleasant option. A shade sail can provide the protection you and your family need without the need for sunscreen. Because shade sails are open-sided, they provide free flow of air. You wont feel stuffy or boxed in under a shade sail. 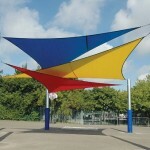 Shade sails provide shade in a unique and decorative way. The triangle shape is a fun pattern and provides a fun look to your backyard landscaping. They also come in a variety of colors so you can coordinate with your homes other features. Its a wonderful way keep cool in the summer, and it looks great too! 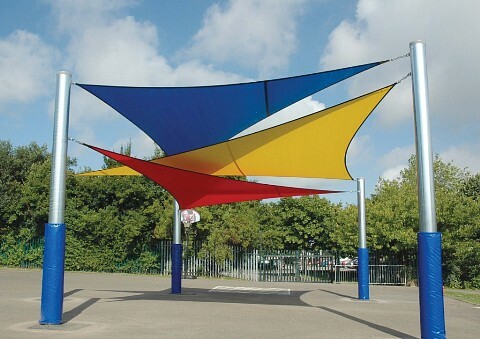 Our shade sails come with grommets in the canopies and three ropes are included with each shade sail. Most canopies come in a triangle shape and can be attached to a house, tree, or any other static feature. Shade sails are a great addition to your backyard this summer. For more information about shade sail canopies or any other tarp and canopy needs, please contact us. This entry was posted in shade sails and tagged shade sails on October 9, 2015 by CanopiesAnd Tarps. Cold temperatures are headed your way. It won’t be long before you find yourself shoveling sidewalks. September is a great time to set up a family pool where everyone places a small bet on the day they think you will receive the first snowfall of the year. It is also a great time to make plans to simplify your life this winter. If your home doesn’t have a garage, you are probably sick and tired of standing out in freezing weather, scraping snow and ice off your windshields before you can drive your car. Perhaps you’ve even tried to cover your windshield with a blanket at night or other tricks to make your morning routine a little simpler. We don’t blame you, because the last thing anyone wants to do early in the morning, before work, is stand out in the cold. There is a better way, you can install a portable garage that will cover your car and protect it from snow, sleet, ice and hail. A portable garage may not keep you car warm and toasty in the winter, but it will save you all the time of scraping windshields which means you will spend less time out in the cold. You can order a portable garage in any size you need, and you can consider options for a full enclosure or just an overhead covering. For more information on our incredible selection of quality portable garages at competitive prices, please contact us. By the time the first snow falls, you’ll be glad your vehicle is protected. This entry was posted in portable garages and tagged portable garages on October 9, 2015 by CanopiesAnd Tarps. It is definitely a bad idea to cook inside your tent on a rainy day. But a simple tarp provides protection from the rain, or shade on a sunny day. And since it doesnt have sides, there is plenty of fresh air ventilation. 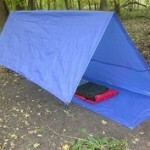 It might be the most common use for those old blue tarps. You put one under your tent to protect the base from the ground. 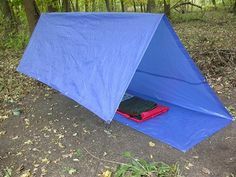 It lengthens the life of your tent, and if you leave a few feet of the tarp exposed at the entrance of your tent, you have a nice welcome mat to leave dirty shoes and smelly clothes. Tarps are light and usually have grommets. With a little extra string or cord, you can throw it in a daypack and have an easy way to make a shelter should you be caught in the elements away from your tent. There are certainly items you dont want inside your tent. A tarp is a cheap, quick way to keep your gear dry and ready to use. Hanging a tarp vertically is a great way to keep your tent warmer, or to keep sparks from flying from your campfire. Not everyone likes their pet to sleep with them. A tarp can provide comfy place for your four-legged family members to sleep and rest. Stake the sides down to ground level to provide complete protection. Hopefully you arent ever stuck on a rainy camping trip. But if you are, there are ways to still have fun. Everyone strip down to their long-johns , put the tarp on a hill and you have some fun memories in the rain! Be sure to have warm clothes waiting in the tent. For more info on tarps, please contact us. This entry was posted in camping tarps and tagged camping tarps, tarps on October 9, 2015 by CanopiesAnd Tarps. Field maintenance tasks take on a whole new sense of urgency in the fall. Theres much to accomplish and the hours of light in a day just keep on getting shorter. Crews must tend to the soil as well as the turf grasses. Plus, there is the constant threat of early frost and the muddy mess that comes along with it. As such, thoughts of athletic field covers begin to take shape too. It is not enough to simply buy the best athletic field covers online and plop them down on to a newly, top dressed field. Sure, the 12-Mil PE covers are meant to go over top of the turf grass. But its vital that field maintenance crews do their proverbial due diligence. If they dont, fungi and assorted insects may start to attack the fields soil and root systems. Clearly they are not the types of outcomes that any sporting areas management team would want for their respective properties. How can crews keep management from losing their cool? Periodically treating and monitoring the areas underneath of the athletic field cover will go a long way in improving springtime outcomes. Also, facilities would do well to invest in helpful tools that make performing those fall field tasks easier. For example, supportive back belts, field cover rollers and training on how to move large tarps would certainly benefit employees. Theyd surely feel more confident rolling athletic field covers back and forth with those aids in place. And it would undoubtedly make the job go quickly, leaving time for other fall tasks. Plus, taking a preventive approach to field cover care could reduce incidents of employee back strain as well. So, buying athletic field covers and the other items weve mentioned would unequivocally be a win-win. To learn more about caring for fields in the fall with heavy-duty covers, please contact us. This entry was posted in athletic field covers and tagged athletic field covers on October 9, 2015 by CanopiesAnd Tarps.